Kenneth Søndervik introduces a new wireline tool that utilises backscatter X-ray imaging. When equipment becomes lost, stuck or malfunctions deep in an oil well, operators have few resources available to investigate the problem. Fishing expeditions to retrieve the equipment are time-consuming, expensive and frequently unsuccessful when carried out by personnel who are effectively blind to the downhole situation. As a result, many different tools and methods have been developed to visualise objects in a well. The oldest method is the lead-impression block technique, in which a soft block of lead is lowered to the depth of interest and deformed to the shape of the object encountered. Once the block is brought back to the surface, it is inspected to provide information about the object. While this method is fast and inexpensive, the impression can often be difficult to interpret and may not provide enough information to solve the problem. An alternate technique uses standard ultrasonic imaging. This method has the advantages of providing 3D information about the structure of interest and operating in a fluid-filled well. However, it requires precise knowledge of the speed of sound in the specific fluid to produce good quality images, and the images suffer when the fluid has too much heterogeneity (e.g. a fluid with gas bubbles or suspended solid particles). The frequent and large changes in density in such cases cause excessive absorption and scattering of the beam. The third commonly used downhole imaging technique is straightforward optical video and/or images. Although images or movies produced are easy to understand, the image quality depends greatly on the clarity of the well fluid and the ability to keep the lenses clean. Often this means expensive and time-consuming operations swapping opaque fluids or fluids with a high concentration of suspended solid particles with clean fluid before performing optical imaging. These deficiencies in the currently available tools and methods have led to the proposal that X-rays could be used for imaging in oil wells. The ability of X-rays to penetrate through opaque materials is well-known from imaging applications in the medical and security fields, where a technique called radiography is frequently used to image the interior of the human body, luggage or other containers. One of the principal limitations of radiography is that it requires access to an object from at least two sides. For imaging in an oil well, as well as many other applications, accessing opposite sides of an object of interest is often not possible. In such cases, a second type of X-ray imaging that utilises photons scattered backwards from the object can be used. Backscatter imaging is commonly used in security applications where it is desirable to see objects located behind an opaque barrier without needing to physically remove the barrier, such as for vehicle or container inspection and luggage or personnel scanning. The X-ray source and detector are both positioned on nearly the same side of the object of interest such that photons pass through the barrier, scatter from the object, and pass through the barrier again to enter the detector. Contrast in an X-ray backscatter image arises from differences in the number of photons scattered by the object of interest as compared to the background. Backscatter imaging works best when the object of interest scatters strongly and the background material does not, for example metallic or organic objects in air. Furthermore, the barrier cannot be too thick; otherwise it will scatter too strongly or absorb too many photons as they pass through. Visuray, a Stavanger, Norway based company, has developed a new wireline tool that creates X-ray backscatter images of objects within a production well. This novel technique turns the ‘noise’ into the desired signal by creating a reconstruction of the surface of an object based on the amount of scattering arising from the fluid between the source/detector and the object. Visuray calls this technique 'fluid-based surface imaging'. To perform X-ray backscatter imaging in oil wells using the fluid-based surface imaging technique, a purpose-built thermoionic X-ray tube is installed along the axis of the tool. It is shielded such that X-rays are emitted as a broad beam primarily through the bottom nose of the tool. The tube is operated at a voltage above 150 kVp and an electron beam current of 1mA. The specially designed X-ray detector has six individual area detector tiles. The tiles are arranged azimuthally around the source tube. Each tile has its own pinhole to direct the scattered photons onto the detector. The six tiles provide the tool with a good overall field-of-view while maintaining high spatial resolution. The pinholes ensure that the field-of-view of each pixel encompasses a narrow region of space. Although these regions overlap slightly for neighbouring pixels, each pixel views a well-defined portion of the object surface. 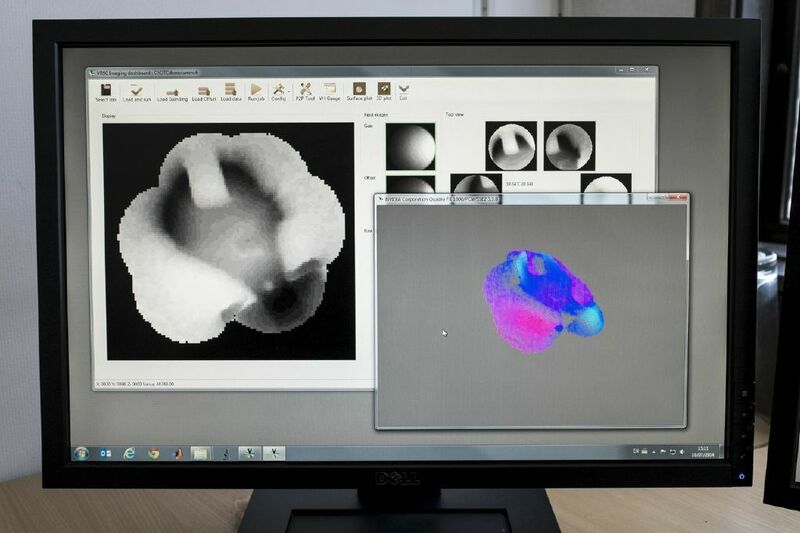 Measurements of backscattered radiation are converted into three-dimensional renderings or two-dimensional images of the object using an innovative fluid-based surface reconstruction technique. Visuray has designed and built the VR90, a wireline tool that incorporates the thermoionic X-ray tube with the necessary imaging system components. 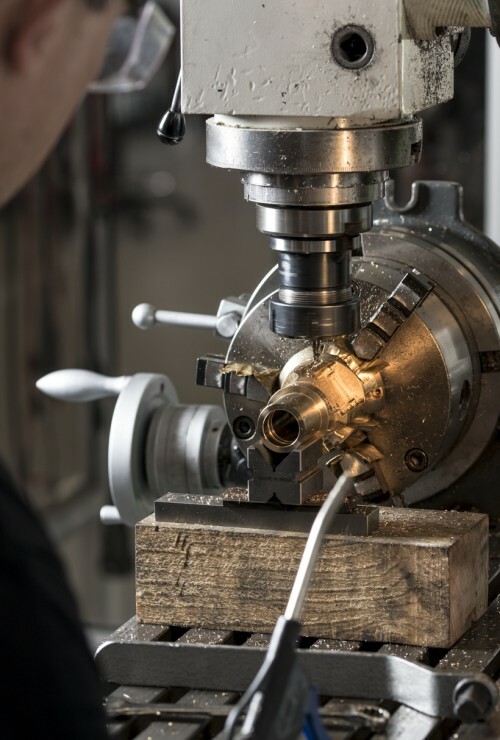 Both the tool and its operating procedures are designed to operate at ambient temperatures of up to 150°C (300°F) and withstand pressures up to 1380 bar (20000 psi). The tool has a maximum outer diameter of 9.2 cm (3 5/8 in) and a length of 8.38 m (27.5 ft). The tool can be run on all types of electric wireline and either centred or eccentred in the well, and is compatible with tractors, strokers, and coiled tubing. Example images from operating the tool in a laboratory setting demonstrate the ability of the tool and technique to create reconstructions of objects in a variety of normal production fluids including clean water, saline water, oil, and fluids with suspended rust particles. The images also demonstrate the millimetre-scale resolution and accuracy of the tool. 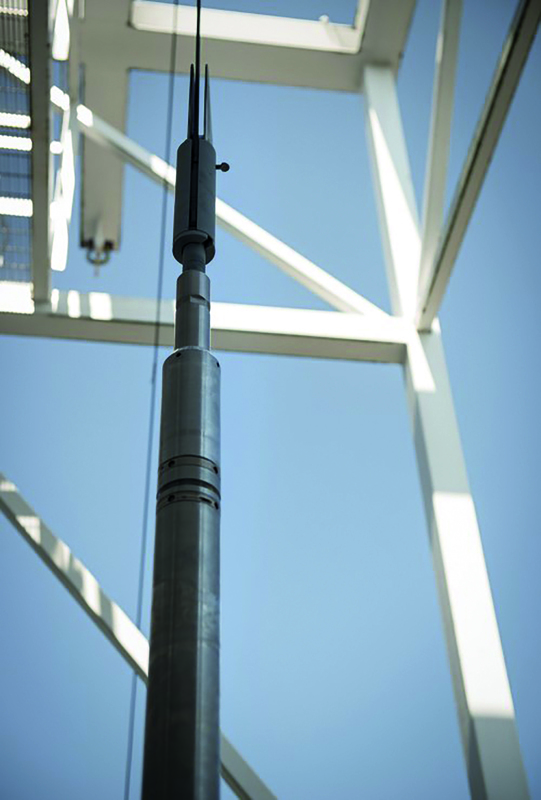 Altogether, this represents a versatile tool with the capabilities to provide useful information in challenging well management scenarios and do so while saving time, reducing cost, improving safety, and minimising environmental risk.